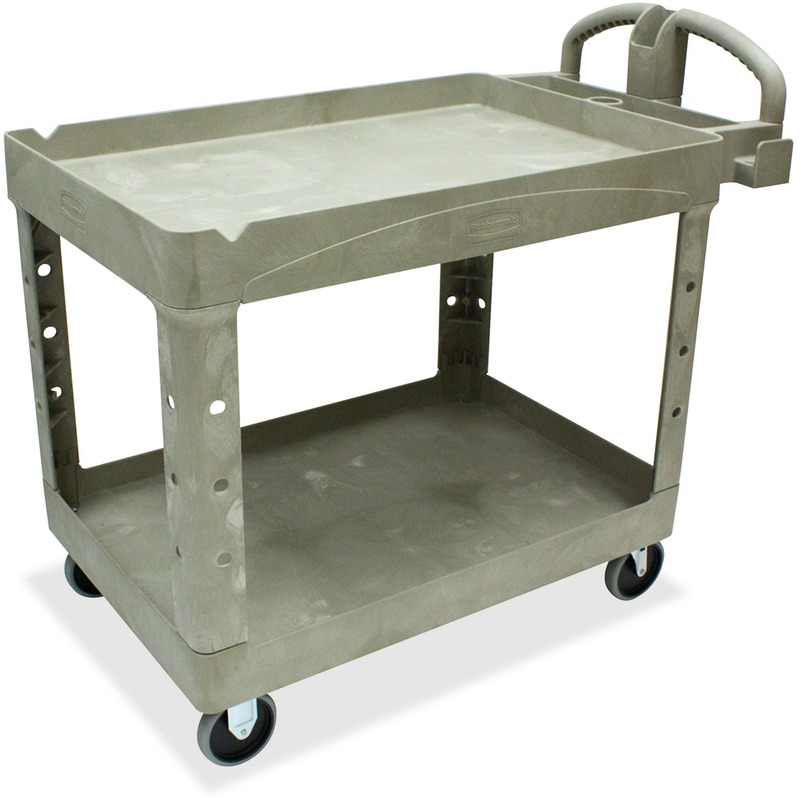 Lightweight and maneuverable, this heavy-duty utility cart features a sturdy, structural foam construction that won't rust, dent, chip or peel. Rounded corners protect walls and furniture. 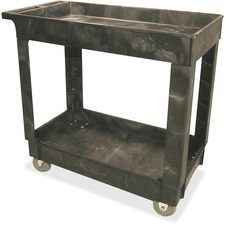 Ergonomic push handle provides optimum hand placement and push height, improving control and worker safety. Molded-in storage compartments are designed for holsters, hooks and notches. Bottom shelf is easy to access. 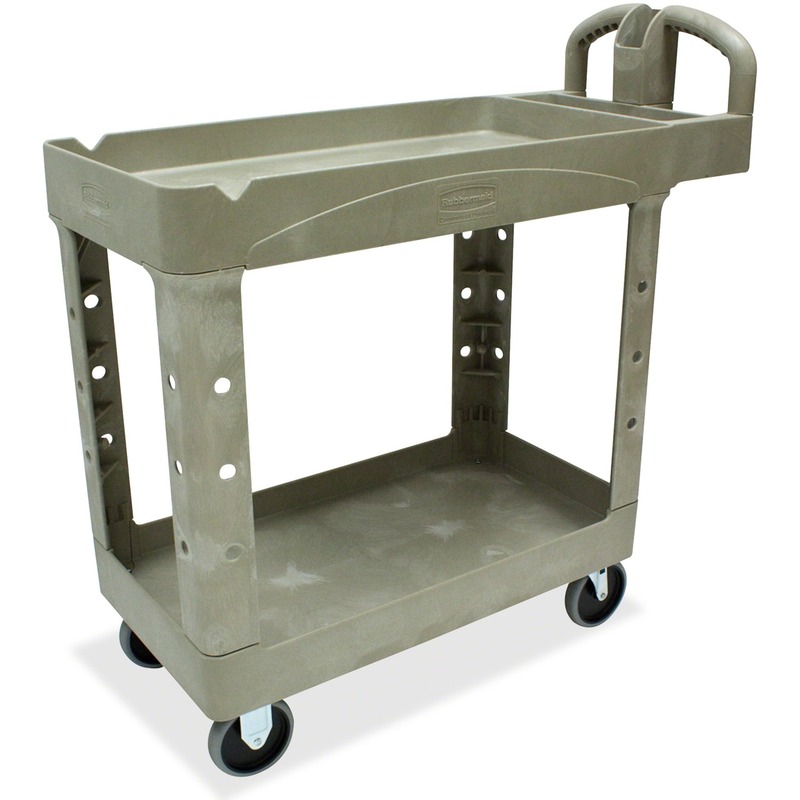 Utility cart moves easily on large, 5" nonmarking swivel casters.